Hawaii playwright Gary Kubota brings his "Legend of Ko'olau" to its L.A. premiere. 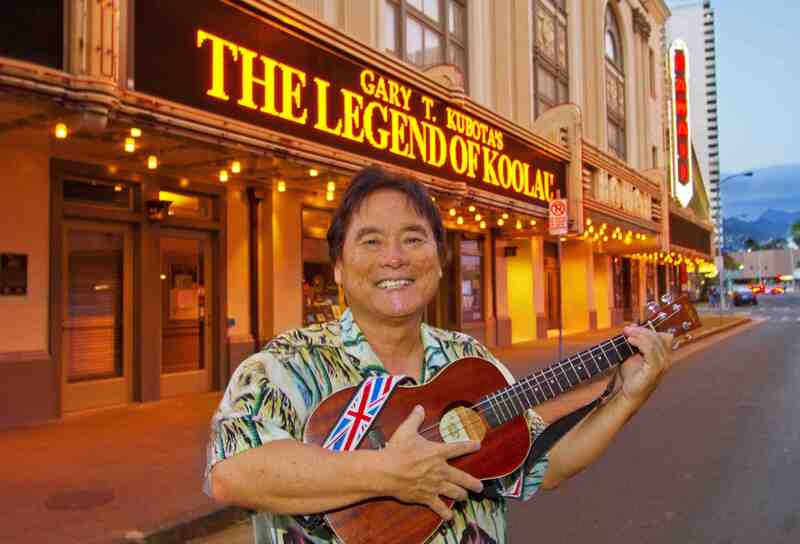 Playwright Gary Kubota strums a few notes in front of the Honolulu Theatre, where his “Legend of Ko’olau” premiered in May. The historical one-man show opens Oct. 11 at L.A.’s David Henry Hwang Theatre. A national touring play about a legendary love will have its Los Angeles premiere on Saturday, Oct. 11, at 7:30 p.m. at the David Henry Hwang Theatre, 120 Judge John Aiso St. in Little Tokyo. “The Legend of Ko’olau,” se­lected as a Creation Fund Project by the National Performance Network of New Orleans (NPNweb.org), is about a legendary cowboy and his love of family in Hawaii in 1893 – a period of turmoil that marked the overthrow of the Hawaiian Kingdom. He resisted policies of the new rebel government that would break apart his family. 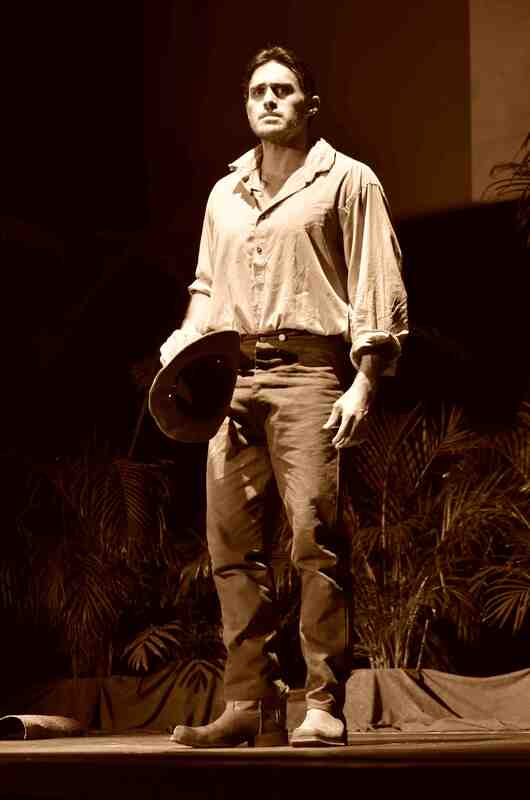 This historical drama is told from the point of view of the cowboy him­self, Kaluaiko’olau, and includes a blend of history, culture and humor, along with native insights about liv­ing off the land and ocean. Gary T. Kubota, a native of Oahu, is also an award-winning journalist who began researching the story about Kaluaiko’olau more than 30 years ago as a film project, fascinated by accounts he had read by novelist Jack London. 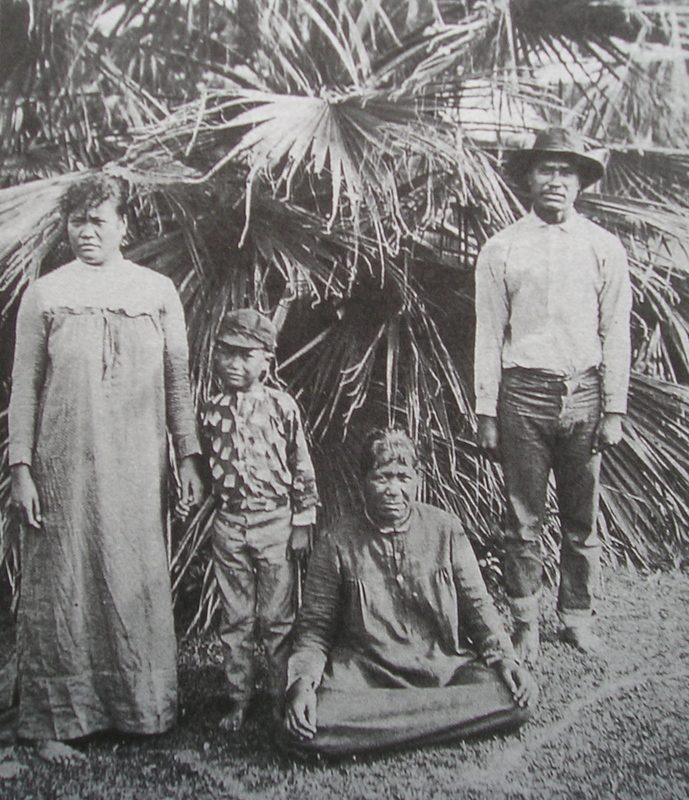 He had translations done from Hawaiian to English and spent months going over archival documents. The project languished for de­cades until a friend suggested he try again. Kubota’s renewed efforts took an unexpected turn — a play was born. Kubota told The Rafu he has many reasons to bring forth this tale. Archival photographs, along with the sounds of the period, are inte­grated into this one-person play. Los Angeles actor Moronai Kanekoa has been selected for the role. Kubota said he conducted an extensive search for an actor for months, trying to find a person who could carry the role, receiving sug­gestions from friends and agents and sending queries to colleges with drama departments along the West Coast. He praised the actor’s ability to bring audiences to tears while simul­taneously making them laugh. Kubota is the author of “To Honor Mau: Voyage of the Hokule’a through Micronesia,” written in English, Ha­waiian and Satawalese and selected to be in the Hawaiian language li­brary Ulukau.org. He is the producer of two “Hawaii Specials” on prime time on Hawaii Public Television and former editor and business manager of the weekly Lahaina News, and has received several national writ­ing awards. The director of the Los Angeles production is Monte Scott Perez, a former Los Angeles actor who once toured with the late Jack Klugman. The play will also be performed on Nov. 21 at Pascual Hall at Kalau­papa, Molokai (invitation only) and Nov. 23 at the McCoy Theatre at the Maui Arts & Cultural Center. At the L.A. premiere, a Kala bari­tone ukulele with carrying case will be given away. Audience members are automatically entered, or enter on Facebook by sharing the “Legend of Ko’olau” post. For information and tickets, call (808) 875-0315 or go online to http://legendofkoolau.com or https://www.eventbrite.com/e/leg­end-of-koolau-general-seating-tick­ets-13358143567.